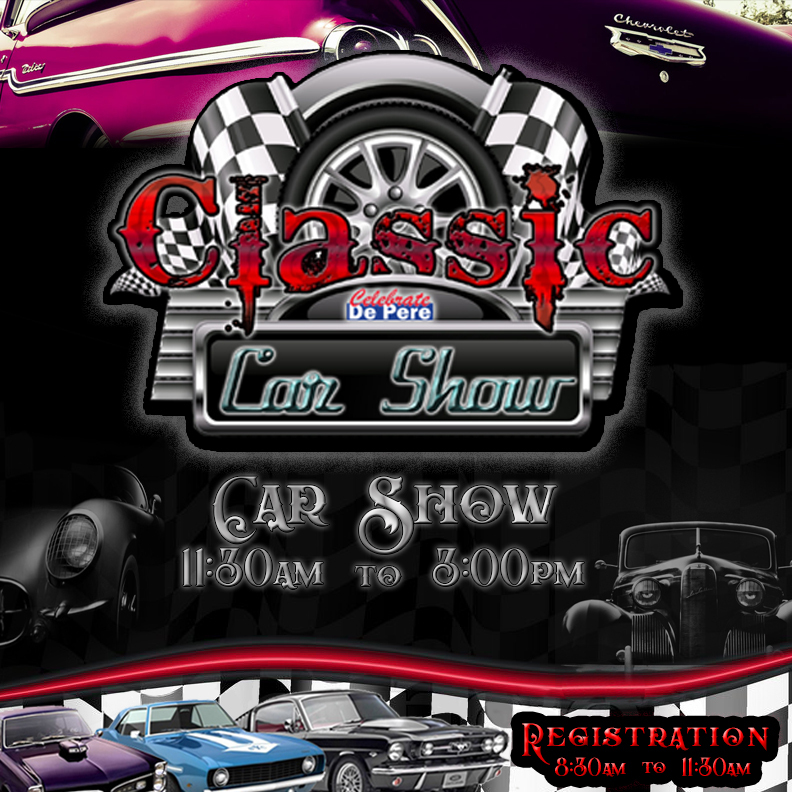 DePere Auto Center presents the annual Celebrate De Pere Classic Car Show. Held on Sunday from 11:00am to 3:00pm, the car show gives you the opportunity to stroll through the park and see many vintage, unusual and "just plain cool" cars! Award Show: 3:30pm by the registration tent. Participants: Due to Insurance Liability there is no in and out during the show. Thank you for your cooperation! Click here to download the 2019 Car Show Application.